Shingles don't last forever. If yours are more than a decade old, climb up and take a look. We tend to treat the roofs on our homes the way we treat the brakes on our cars: We ignore them until they are just about to fail, and then we rush to make long-overdue repairs. How do you know when you need a new roof? Age alone is the biggest factor. An asphalt-shingled roof, which is the most popular kind in America, is likely to last an average of just 13 years, even if the shingles themselves are backed by 25-, 30- or sometimes a 40-year warranty. A roofing contractor can help you assess whether you need a new roof. If you do, first make sure the old roof will be torn off completely before the new one goes on. Although there might be savings in simply slapping a new layer of shingles over the old ones, you do that only at great risk. Ripping the shingles off is the only way to inspect the wooden sheathing that forms the structure of your roof before making any repairs. Installing new shingles over old ones just hides problems. Also, a complete roof tear-off adds more value at resale time. It's an item you can boast about on the listing sheet, and it will be an important upgrade to a potential buyer. The materials you use also are crucial to determining the lifespan of the new roof. 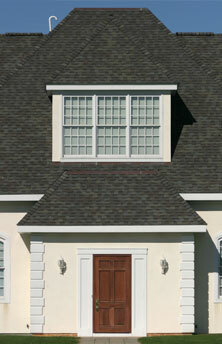 Homeowners often try to cut corners by buying the cheapest shingles. Shingles are sold in 100-square-foot bundles called "squares," and the price for asphalt shingles can run anywhere from $25 to more than $100 per square. A $25 square might sound like a bargain, but it simply will not hold up on your roof. You'd be better off living with garbage cans positioned under the leaks in your ceiling than wasting money using materials this shabby. With shingles, I have found that the heavier ones are best, and sometimes bigger is better. So spend the most you can afford. GAF, Tamko, Certainteed and Elk are a few of the better brands on the market. Water protection is another element of roofing that often is overlooked. Before the shingles are laid down, a waterproof rubber membrane about 30 inches wide is laid across the edge of the roof, just above the gutter. That helps prevent massive leaks due to "ice dams," which are common in cold climates, but it makes great sense wherever you live. I'd recommend using a double roll of the membrane for a full 60 inches of protection. By spending a little extra thought and money at the start of a re-roofing job, you'll more than get your money back with a roof that lasts years longer than it otherwise would. This is one area where spending a few extra dollars will repay you big time. Contributing Editor Lou Manfredini is the author of Mr. Fix-It Introduces You to Your Home and a contributor to NBC's "Today" show.